Home » Fish Library » Like native fish? Check out NANFA. 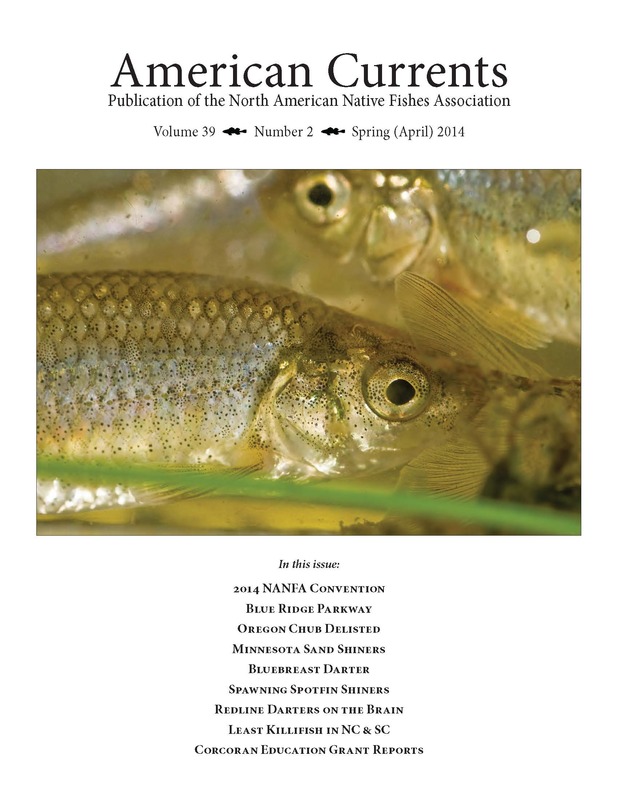 The North American Native Fishes Association (http://nanfa.org) is dedicated to native fish conservation, science, education, promotion, and appreciation. It publishes American Currents, a full-color quarterly journal (of which I am an editor as of a couple issues ago) that is mailed to all members. The annual convention, held in a different part of the country each year, brings together scientists, anglers, photographers, aquarists and other fishy people for several days of collecting fish, snorkeling with fish, talking about fish, etc. Dues are affordable ($30/year). Print out this NANFA membership form	(610 downloads) or visit http://nanfa.org/join.shtml. American Currents (now in its 39th year) publishes a variety of material, from hard science to expedition reports. 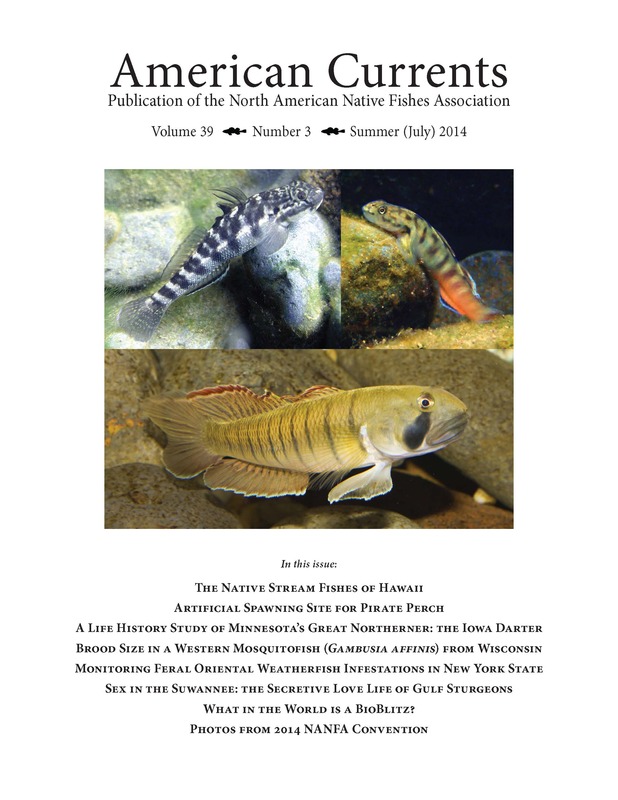 The spring 2014 issue even had an article about a member’s redline darter (Etheostoma rufilineatum) tattoo. That issue, by the way, is now available for free download at http://www.nanfa.org/ac.shtml. 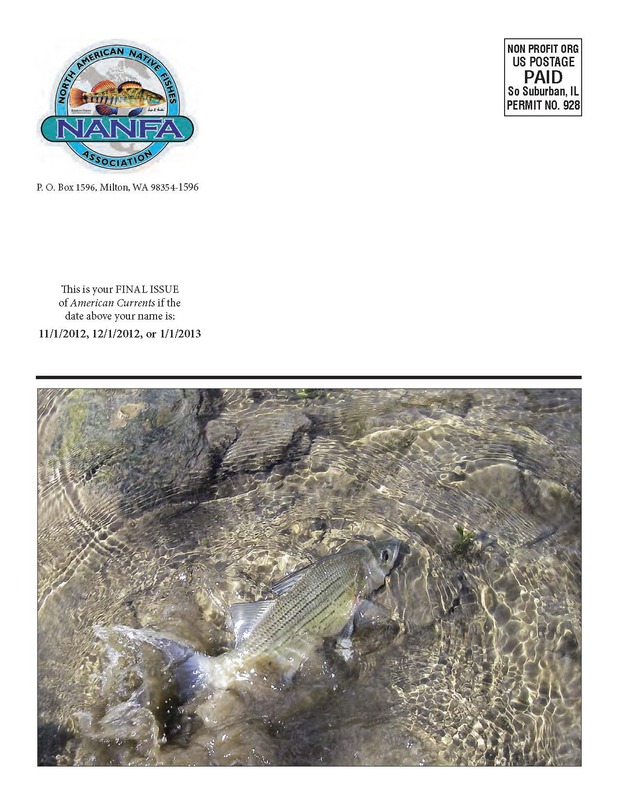 Another valuable aspect of NANFA is its active forum, where members share information about all things native fish. It is that rare sort of web forum where most members are knowledgeable, generous, calm and able to communicate. The photo galleries include thousands of stunning fish photos. I should point out that this is a very diverse organization. There are biologists whose names you would recognize if you’ve done any reading of the scientific literature or any Freshwater Fishes of State X books. There are people who keep native fish in aquariums. There are micro-fishers and normal anglers (sorry, couldn’t resist).